Jeff Fager, who has served as executive producer of 60 Minutes since 2004 and chairman of CBS's news division for years, has been fired after being accused of sexual misconduct. On Wednesday, Sept. 12, 2018, CBS News President David Rhodes released a statement announcing Fager's exit from the network, as reported by CNN. The news comes just days after former CBS CEO and chairman Leslie Moonves stepped down in disgrace amid at least a dozen sexual harassment and sexual assault claims. 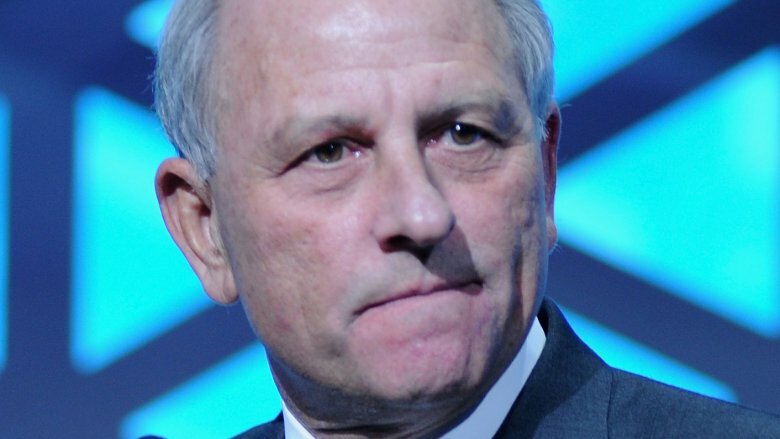 "Jeff Fager is leaving the company effective immediately," the statement began, explaining that acting CEO Joe Ianniello, who previously vowed to create a "safe and positive working environment" at CBS, fully supports the decision to let Fager go. Rhodes continued, "This action today is not directly related to the allegations surfaced in press reports, which continue to be investigated independently. However, he violated company policy and it is our commitment to uphold those policies at every level." The allegations to which Rhodes alluded were included in journalist Ronan Farrow's shocking exposés for The New Yorker, which first unveiled the Moonves allegations and delved into the broader culture as CBS in late July 2018. At the time, Farrow spoke with several former CBS employees who accused Fager of inappropriate touching and enabling a toxic and abusive workplace environment. According to The Hollywood Reporter, the 63-year-old had vehemently denied the claims. In Farrow's follow-up piece for The New Yorker, published on Sunday, Sept. 9, a former intern claimed that Fager had groped her at a work party during the early 2000s. Fager has since released a statement regarding leaving CBS. "The company's decision had nothing to do with the false allegations printed in The New Yorker," he stated (via CNN). "Instead, they terminated my contract early because I sent a text message to one of our own CBS reporters demanding that she be fair in covering the story. My language was harsh and, despite the fact that journalists receive harsh demands for fairness all the time, CBS did not like it." The former TV exec added, "One such note should not result in termination after 36 years, but it did." CBS is certainly not an anomaly in show business when it comes to allegations of sexual harassment and sexual assault. However, the network has found itself facing intense scrutiny ever since Charlie Rose's sexual misconduct scandal broke last November. As Washington Post reporter Amy Brittain tweeted, "In a span of just 10 months, the face of CBS's morning news show (Charlie Rose), the head of its signature investigative program, '60 Minutes,' (Jeff Fager) and the CEO of the entire company (Les Moonves) have been ousted after #metoo allegations. Let that sink in for a moment." Ever since Farrow first uncovered Harvey Weinstein's alleged 30-year history of sexual abuse in October 2017, countless figures throughout the entertainment industry have faced accusations of sexual misconduct. While Fager's exit may indirectly be the latest example of the #MeToo movement's effect on exposing powerful men's abuses of power, it most likely won't be the last.